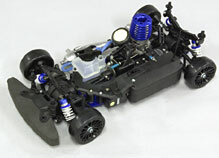 The Kyosho FW-06 Chevrolet Corvette C6R 2007 LeMans No.63 Readyset is a great kit for new and experienced RC hobbyist. 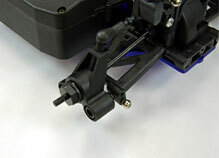 This kit is extremely tough and durable as well as inexpensive to fix and simple to repair. 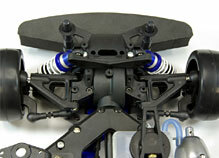 The Kyosho platform that the chassis is built from is well developed and has many hop up parts available. The machine that has defined modern America’s status as a racing superpower is the Chevrolet Corvette C6-R. While achieving great results at famous GT races, it was the challenge at Le Mans that impressed the world. After winning the Le Mans in 2000, the Corvette completed a dominant 1 - 2 finish in the GT1-class in 2006. 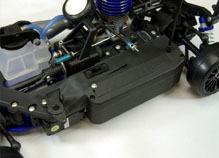 This model of the No.63 car finished 2nd in GT1-class and 6th overall in 2007 for the team’s eighth consecutive podium finish. The battle against its great rival, the Aston Martin DBR9, was the major highlight for many motor sports fans.